The no obligation phone consultation service applies to both domestic and business customers in the South London area. No coackroach extermination job is too big or too small for us to take a look at. Where relevant we have the ability to suggest on any immediate action required to safeguard your health, property or possessions before a visit. 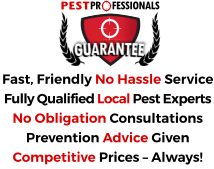 If a visit is required we let you know if there will be a call out fee and also advise on the most likely costs of any cockroach treatment should it be necessary. Why Are Cockroaches a Big Problem? When you understand how cockroaches operate, you quickly become aware why you need to eradicate them straight away. Cockroaches foul their environment with faeces or castings and with regurgitated food, and move indiscriminately from their filth to food and back over and over. They will consume anything from food fragments, to paper and cardboard and even fabric. They taint materials with their distinctive ‘musky, oily’ smell as well as the air in infested premises may contain particles of their excrement. The opportunity for the escalate of pathogens like salmonella and other diseases is obvious and it’s no surprise that their appearance causes great distress. We will not go further (even though we could!) 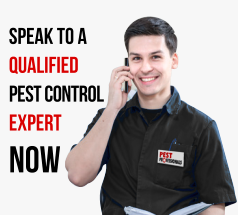 however the bottom line is that if you have cockroaches, you need to eliminate them and you require a professional pest controller to carry out the dirty work. The most common (and probably most disgusting) cockroach in the UK is the Oriental Cockroach. Adults are about 20-30mm long and dark brown. During the day they spend their time in harbourages, grouped together. They are usually on the ground floor only due to the fact that they are weak climbers. Their activity peaks in the hours of darkness– if you begin seeing them in the day the infestation may be severe. They often tend to prefer damp, dark locations ordinarily so are often discovered under fridges, in drains, near pipes and in sewers. Before any work to eliminate cockroaches is carried out, it is vital to first determine the cockroach species. This will provide the pest controller with the biology, life cycle and typical habit information of the pest which will be instrumental in helping draw up the required approach. The pest controller will then look to establish where they are originating from. If this is not possible, they may assist in planning the use of night-vision cameras in this process. A mix of sticky traps, professional strength gel baits and non-chemical control methods is commonly advised, and monitoring should be put in place. If the infestation is well established, an integrated approach drawn up by an experienced professional pest controller is essential. If you need sound advice or swift solutions to cockroaches issues anywhere in South London or the nearby Boroughs – get in touch.